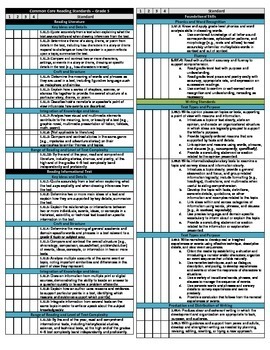 Use these checklists to stay accountable of Common Core Math and Reading Standards taught during the school year. 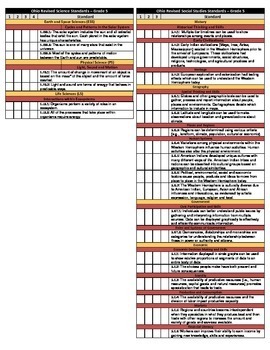 This helpful resource is arranged to allow you to keep track of standards taught every quarter of the school year. Making for quick reporting on progress reports and report cards and being able to communicate standards to families and administrators. 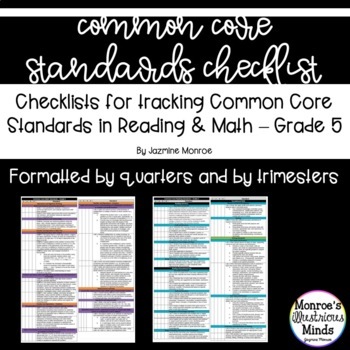 Also keep your checklist handy when creating lesson plans as quick access to all of the 5th grade Common Core Standards!